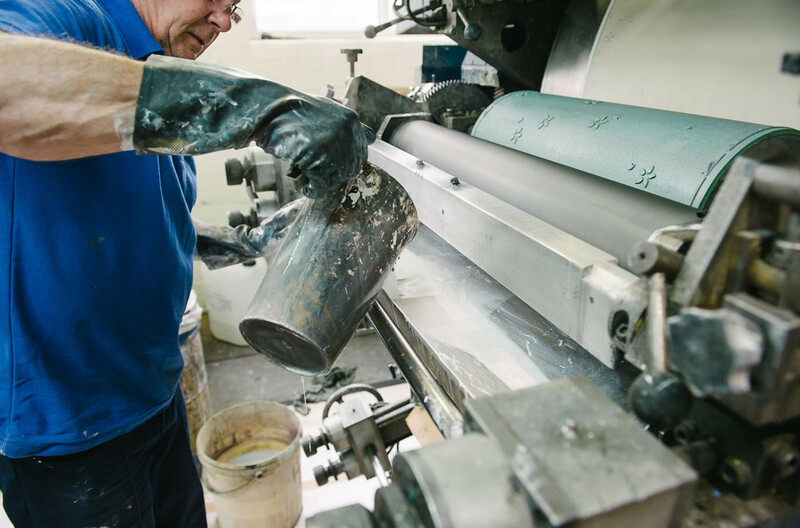 We use the following print methods to create beautiful results: Surface, Sur-Flex, Flexo, Flock, Beads, Grit, Emboss and Digital. All with the same high standards in production and finishing. To discuss your printing requirements, please contact us on +44 (0)1254 397631. 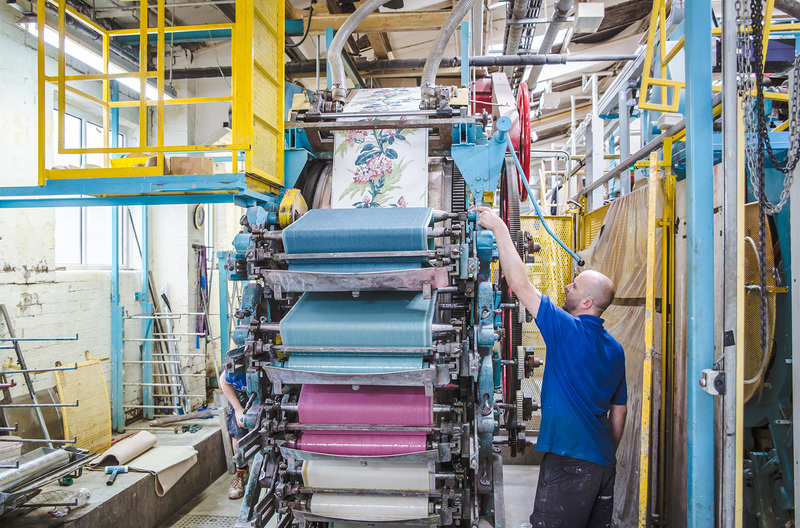 We specialise in Surface printing, a technique pioneered in Lancashire, in 1838. It creates a lovely hand painted effect. We are one of only a few manufacturers in the world to offer this printing process. 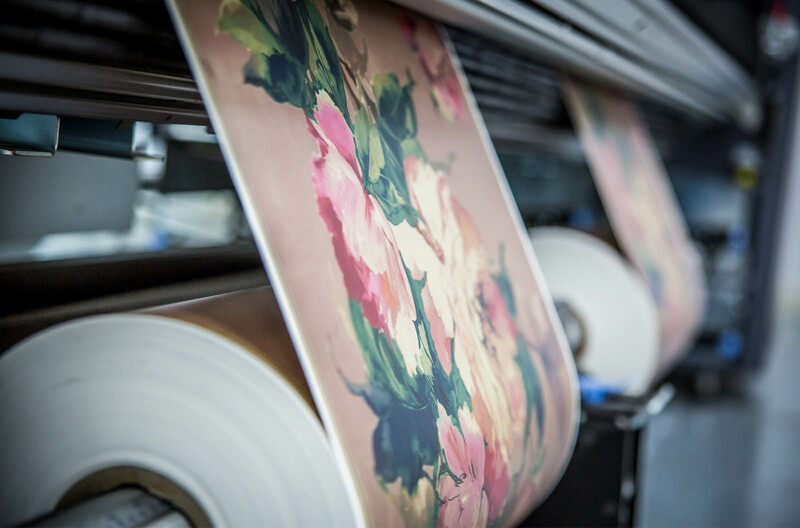 Flexo printing allows designs with fine and tonal detail to be beautifully produced. Using water based inks for Flexo printing means there is a large reduction in VOC emission compared to the Gravure printing process. Textured wallcoverings trends are popular amongst our customers, creating wallcoverings with a 'touch' appeal. Our selection of textures including Flock, Beads, Grit and Emboss really bring designs to life! 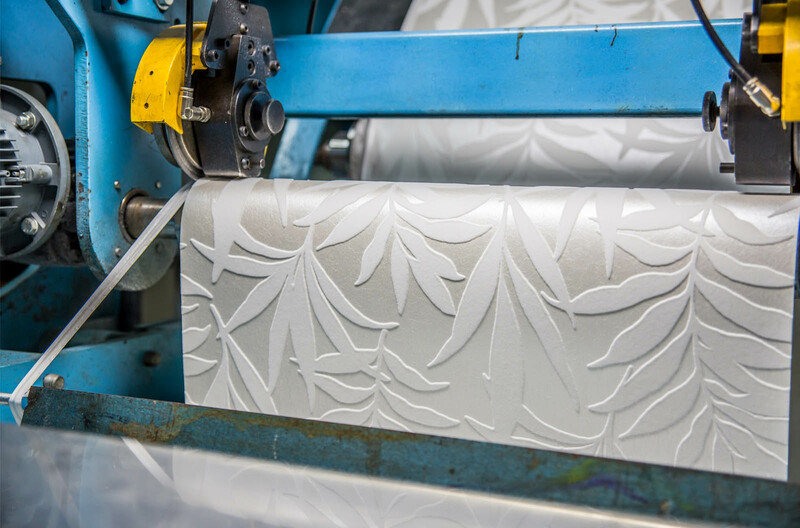 We've been printing wallpaper since 1990, alongside our traditional print methods we can also offer a bespoke digital solution. Our purpose built room in Lancashire has the latest, top of the range latex digital printing machines.